Over the last few years Drawing and Planning have assisted thousands of developers in obtaining planning consent, resulting in an increase in market value. Firstly, we would like to thank all of our friends and clients for your support over the years and Secondly offer you the opportunity to join one of our Exclusive Property Syndicates. As a company working on many projects we keep our ears close to the ground an in turn we get offered many profitable developments. A property syndicate is a consortium of individuals who purchase a real estate asset together. There are many types of syndicates and many rules, too many to hold your attention so we are going to discuss the most secure option and the option we are offering you. THE SPV (Special Purchase Vehicle) is usually a limited company which is established with the sole intention of purchasing an asset. Quantities of shares in the spv are issued depending on the level of investment. Are you interested in joining a DAP Syndicate? Many developers have sat in our boardroom or spoken to us over the phone looking for ‘Deals’, and it has been hard finding everyone a deal. So we are offering you the chance to join in our deals for a very substantial return. 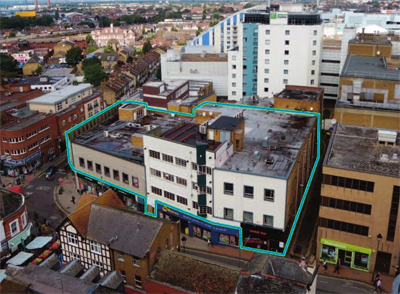 Our Syndicates are limited to £250,000 minimum investment, 12 shareholder limit per investment and offer 10%-20% return per annum (accrued to the sale of the asset). Your money is secure as there will only be shares created for investors and only the investors will be the shareholders and have full control of the asset. We do not borrow on assets and only purchase unconditional sites/development opportunities. The assets we offer you will be fully supported with documents giving comfort to the strategy and time scales of each purchase. Our aim is to purchase sites for planning gain only and offload to developers. We do not carry out the construction unless all syndicate members agree prior to entering an investment. Should you like to discuss this further and potentially join our next syndicate please CLICK HERE. Once again here at Drawing and Planning we like to keep our clients updated with the best development rates we know of in the market. 2. To achieve this rate the loan must be a first charge, the rate will rise to 1% per month if the loan is second charge. 3. The Borrower must have at least 30% equity in the development at any time. 4. The Borrower must have a good credit history and proof of ability to make repayments. Should you suit the criteria above and like to apply for this rate please complete the following form. The form cannot be displayed. To complete the form, please click on the link View it in your browser. Copyright © 2016 DAP Group. All rights reserved.